ShawnCuthill.com: Guess who I'm voting for? Well folks, election time is here! 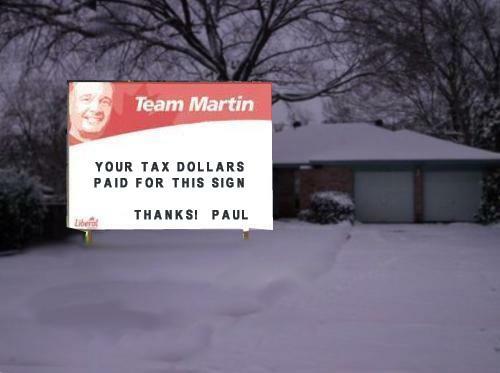 Pretty soon the lawn signs will begin to fly with the snow. The one on the left is by my friend Political Pundit Prescott. If I was campaign manager for Stephen Harper, I would hire Frederik from ING Direct to do commercials for them. "Just dial 1-800-vote-conservative and save your money." Let us know who you will be voting for on the discussion forum - here, so far it's 5 votes Conservative, 2 votes Green Party!